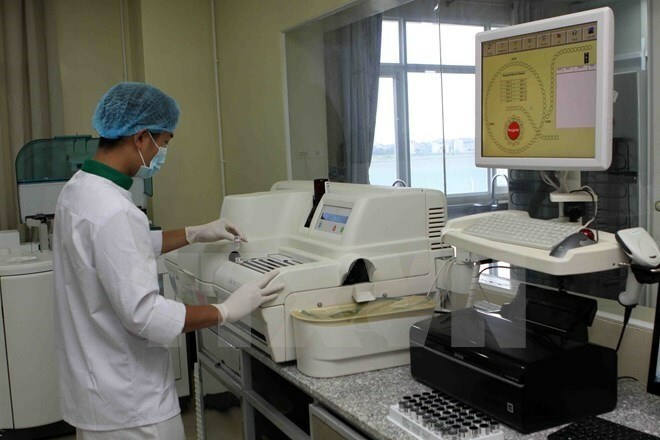 Hanoi (VNA) - The Ministry of Health has sent an official document to health departments in all provinces and cities asking for stricter management of medical equipment at State-owned medical stations. Deputy Minister of Health Pham Le Tuan said that many medical stations had recently called for funds from different sources and organisations in order to improve their facilities and their medical workers’ ability to provide proper examinations and treatment. The ministry has asked directors of all health departments to strengthen their supervision of equipment, examinations and treatment at State-owned medical stations so that all facilities are used appropriately and there’s no misuse. The departments must check expenses, service fees and the period of paying back capital of investors who fund the purchase of medical equipment. If this period is shorter than the contract, medical stations and investors must discuss and adjust the service fees. The ministry has instructed the departments to carefully study the Government’s Decree 15/2015/ND-CP, which regulates public-private partnership, and choose the most suitable investment methods. Tuan said that departments, medical stations and organisations that are working together must approach higher-level authorities for approval. The co-operation project must be published so that partners and investors know about it and participate.